James Politis, better known as “Jim” has always been an upbeat, tireless person.This past June, Jim was stopped in his tracks when he suddenly went into heart failure. Due to the severity of his condition, his choices were limited and he underwent surgery for a left ventricular assist device, or an LVAD. Soon after his LVAD surgery, Jim experienced complications, and his cardiologists informed him that without a lifesaving heart transplant, his time would quickly run out. Jim received the telephone call that would save his life, and on Tuesday October 27th, 2015, a true miracle happened! Jim received the gift of life through a lifesaving heart transplant; and while he is still recovering and has a long way to go, each and every day he survives is truly a blessing. Jim has been married to his loving wife, Jan for over 39 years. They have three wonderful and supportive children together, and three grandchildren who are his pride and joy. Seeing his grandchildren grow up is the one thing Jim truly looks forward to in the years to come. Jim worked hard very hard his whole life to support his family, and served on a local County Board of Supervisors for many years. He even raised buffalo and had a restaurant with his wife Jan, and is still currently involved with Virginia Cares and the Re-Entry Council which will help ex-offenders assimilate back into society and the work force. 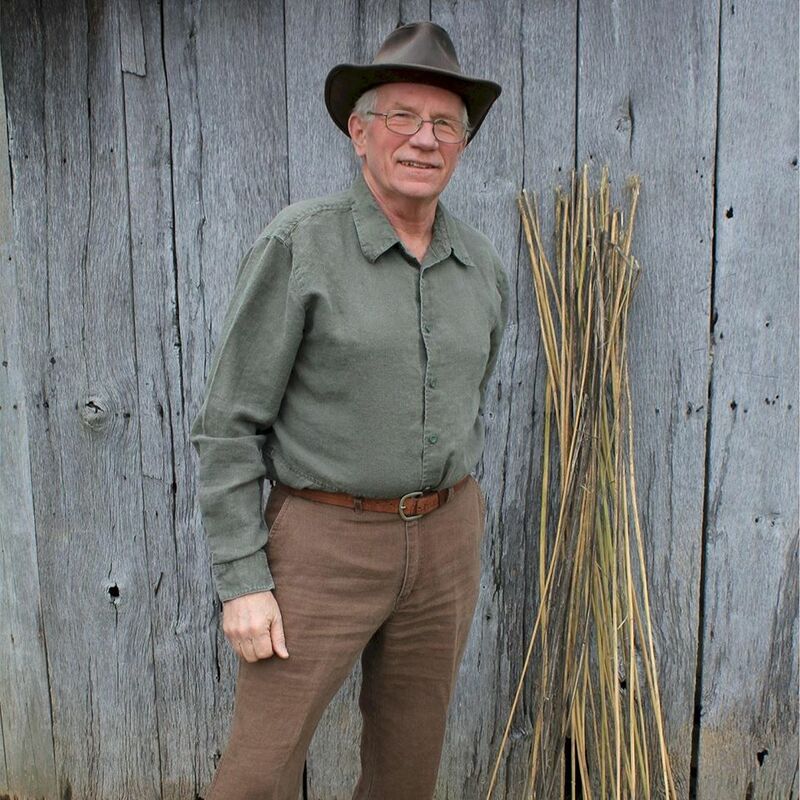 However, Jim’s main passion for the last several years, has been reintroducing industrial hemp for economic farming development. After many years of helping others, Jim desperately needs your help. There was little time to prepare financially for his transplant, and Jim and his family are facing mounting out-of-pocket medical and transplant-related expenses. Co-pays and deductibles, medical bills, health insurance premiums, caregiver fees, doctor appointments, and living expenses are quickly adding up. Jim is also required to take costly, post-transplant anti-rejection medications that he will need for the rest of his life. Jim is asking for your financial help, and to reach out during this time of need. Jim has chosen to fundraise with HelpHOPELive in part because HelpHOPELive assures fiscal accountability of funds raised and tax deductibility for donors. Donors can be sure that funds donated will be used only to pay or reimburse medically-related expenses. To make a tax-deductible donation to this fundraising campaign, click on the yellow Donate Now button. For more information, please contact HelpHOPELive at 800.642.8399. Thank you ahead of time for your generosity, prayers and support. Any donation amount, no matter how big or how small is one step closer to a successful outcome for Jim. Jim is now able to speak, as his medical team placed a “speaking valve” in his trach, as he is slowly being weaned from the ventilator. Jim was able to speak his first words since his transplant — he said “hello” to his dear wife and told the nurse he had a “headache”. While this a small improvement in his health, it is a good sign that Jim’s recovery is progressing. This past Sunday, Jim was even able to enjoy the outdoors for the first time in many months. Wishing you a speedy and full recovery, Jim. We need you back in the saddle in Montgomery County. The Jablonski family sends its best wishes and hopes you will continue to improve, day by day. hang in there, Jim! best of luck getting well soon! Jim, Keith and I are wishing you a complete recovery. You were so friendly to us when we first moved to Riner a few years ago. Just wanted you to know we are thinking of you and prayers are going up. With God, nothing is impossible. Pleased to be able to help out such a strong advocate for Virginia's economic future through the miracle of industrial hemp. Get well soon, Mr. Politis! You are one of the strongest people I know. You have always had an amazing commitment and dedication to the causes you think are beneficial to the people and the communities around you. You never stop until you have exhausted every effort for your cause. One more time! We will be praying for you every day that God gives you and those surrounding you that conviction for this fight. Prayers to God,"The Great Physician", for complete healing and speedy recovery! Your daughter in law, Stephanie gave away her ticket to the Christian E- Women Conference a few weeks ago and my granddaughter benefitted from her gift! So my small donation is a way of "paying it forward"! I know your heart will be FULL when you see the love of your family and friends walking with you thru this. God Bless you & your family!